The Lions Club International planned their annual convention in Waikiki, Hawaii, with 20,000 delegates and another 10,000 friends and family members coming to the islands. We were engaged to assist in all external communications, public relations and marketing support for this large convention. We began about a year in advance to assist with logos, collateral items, public relations plans and marketing support. After months and months of planning and coordinating we assisted with various aspects of the convention, including one of the largest parades in Waikiki, a cultural festival and all public messaging related to the convention. 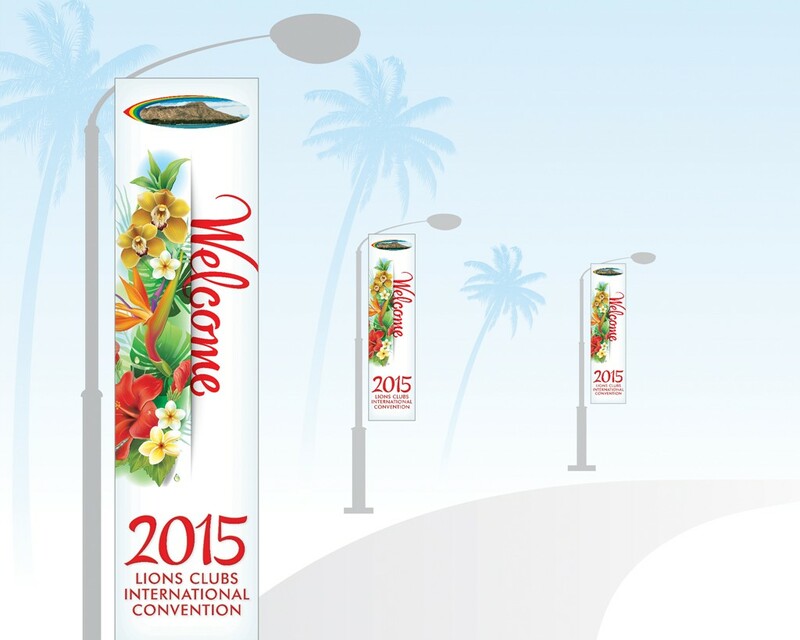 We designed and produced banners for the airport and Waikiki to welcome the Lions. 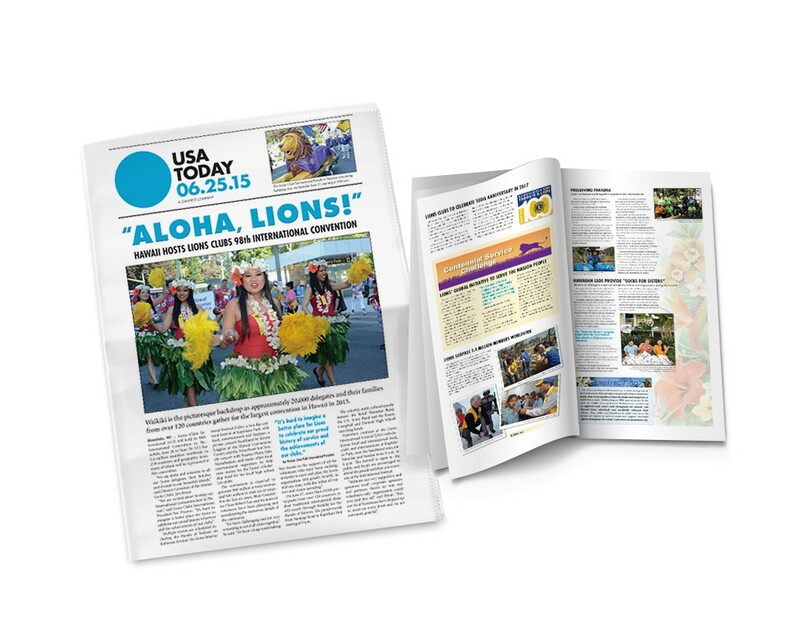 We designed and coordinated media and messaging such as a 4-page USA Today newspaper wrap and wrapped Speedi-shuttle buses with Lions information. Finally, we put together a sponsorship program that allowed the Hawaii Lions to generate additional income. When all was said and done, the Lions Club International Communications and Marketing Director said that the Lions leadership team considered this the best support of any of their annual conventions held in a city in any country in recent memory. They were very appreciative, and we were proud to assist and demonstrate we have the ability and wherewithal to execute, at a large or small level, what our clients need. Our public relations, event planning and sports marketing capabilities are vast. We have worked with the NFL, the Pro Bowl, ESPN and The Hawaii Bowl, local and national concert promoters and some of the biggest events on the islands and beyond. Let us help you!